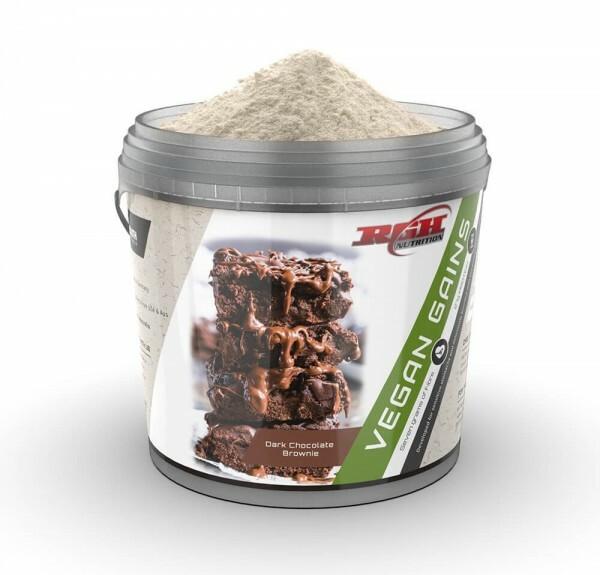 RGH Nutrition’s Vegan Gains is a plant based protein powder that is 100% Dairy free, Gluten Free, GRAIN FREE (The only plant based blend to do this in Australia) and is super low in lectins! That means, if you’re trying to live in the healthiest way possible (like i am) and follow a diet/nutritional lifestyle that is free of Dairy and Gluten/Grain then this powder will be PERFECT for you. Also, if you are following a eating plan that requires you to cut most of your lectins… You’re going to struggle to find a plant based powder that you can actually have due to Rice powder not only being a grain, but being super high in lectins. When we developed this powder, we spent weeks trying to find the highest quality of ingredients that we could actually use in this blend to cover all those bases. 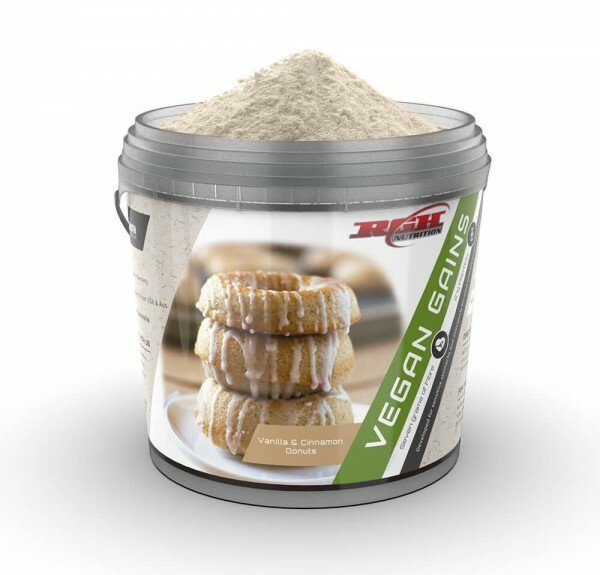 Everything we've added is 100% Raw and Organic, nothing artificial here! The next thing was flavour…. Trying to flavour a plant based powder is EXTREMELY DIFFICULT! 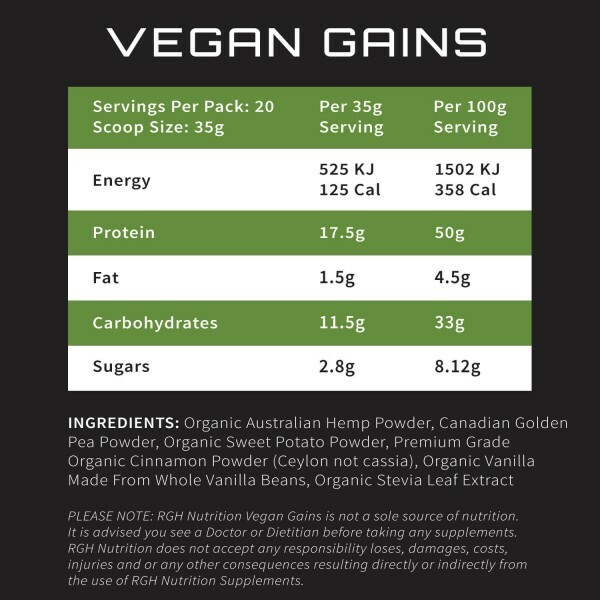 If you’ve tried a number of different plant based/vegan powders you’ll know exactly what i’m talking about. However after countless tries to get it right, i think we’ve pretty much nailed it! In saying that, we LOVE feedback! So when you get your first tub.. Don’t be afraid to try new things with it… And if you find something that works really well.. Please let us know so we can either add it in or share the information around so everyone can enjoy it! Thank you so much for putting your trust in us, I personally promise you won’t regret it!